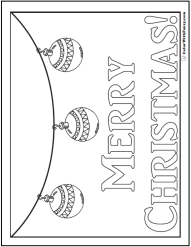 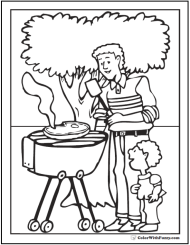 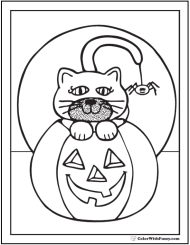 Fuzzy's detailed turkey fixings coloring page reminds me of Thanksgiving and Christmas. 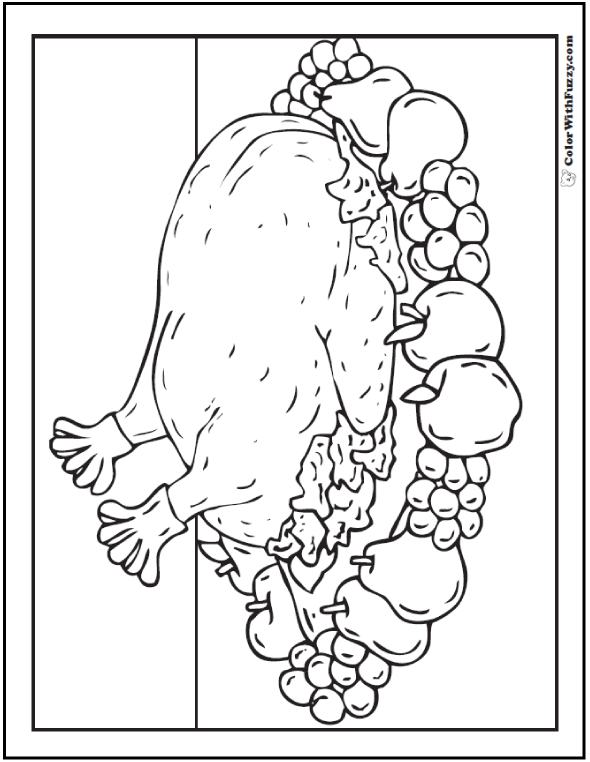 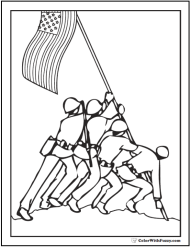 Wonderful stuffed turkey dinner or chicken dinner coloring sheet. 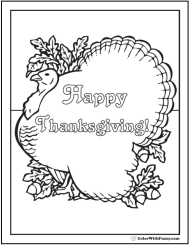 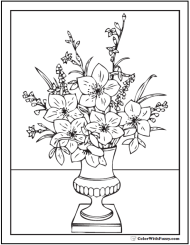 Print this turkey fixings coloring picture.